Wild chanterelle is native to the high mountain area in Yunnan, China. The harvest season is from August to October each year. 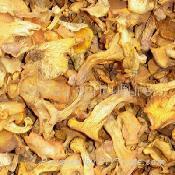 We can supply the wild frozen, dried chanterelle all the year round.